Thank you so much for helping us during our moving. Me and my wife had enough things to stress about and you made one of the most important things be less of a hassle. I appreciate all your help! 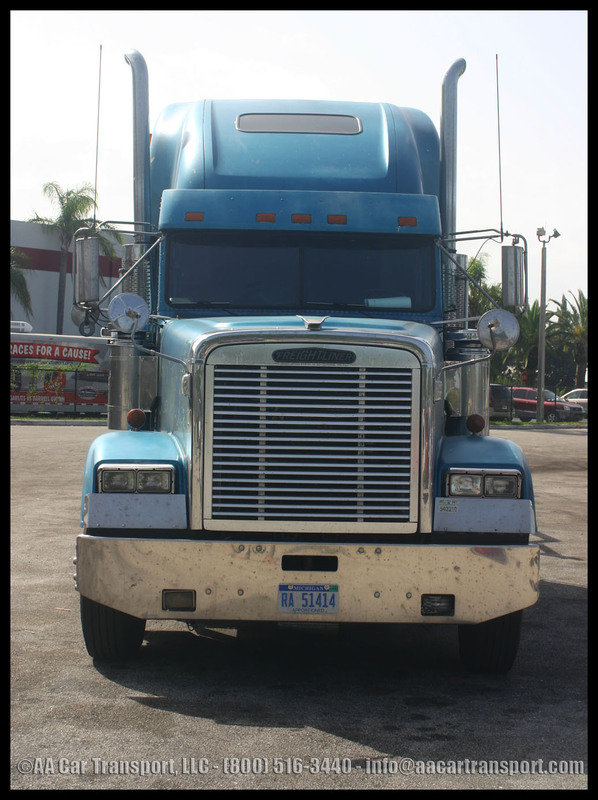 Shipping a vehicle is a big ordeal depending on the make and model of the car and the requirements you need to safely transport your car from one place to another. There are many factors you must keep in mind that will not only affect your price but you whole transportation. 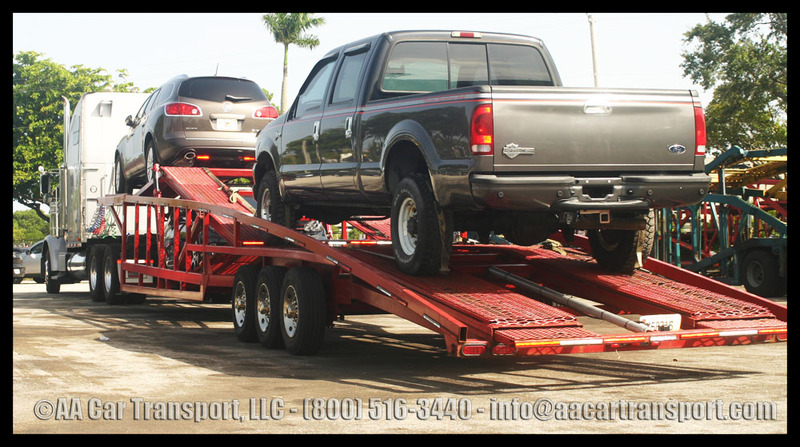 Car transport at a quick glance resume sin these simple steps, first the research you need to do in order to find the right car transport company, right price, and reliable service. Then you have to make sure that when booking you take a company that will tell you the exact price from the start and will not surprise you with hidden fees along the road. After this you have to make sure your car is picked up properly and secured safely for the trip. Before delivery you must keep in contact with the driver or dispatch in order to arrange delivery times and locations. Lastly, once car is delivered you have to make sure that the car was taken care of and has no damages or scratches. Simple huh? Yes, in words transporting a car is very easy and smooth, and has very little chance for error, however writing doesn’t get your car from one place to another, therefore here is a more through explanation of how to follow each step to ensure your car’s safety and a quality service for your transportation. As mentioned before, first step is to make a research for a few companies that offer car transport service in order to have a few options to choose from. This may be the most tedious part of the process, however you must know with what type of company you are dealing with. Use a little of what you learned from your last college research papers and apply it to your car shipping dilemma, this will help you avoid companies that have red flags all over and leave you with the ones that can really offer a reliable and hassle free transport. The most important think you must go through are the reviews other customers have given the Car Transport Company, how high they rate a company speak of how high they will treat you during the transit. Nowadays thanks to technology and the internet, it’s very easy to research reviews for companies online. Once you have your possible list of companies for shipping, review the prices provided, this will help you remove from your list companies that offer extremely low prices that are not going to get anywhere but a headache later on. Almost everyone works under a budget, however impossible low prices are not reasonable for transporting, think about how much it would cost you in gas, mileage, possible mechanical issues, lodging, food and time. If the price you were quoted doesn’t cover for half of that, run away immediately. Now take this example to carriers, they also have to cover for al trip expenses, therefore low prices are red flags. Something else you must be aware of is that low prices always mean slower transit times, therefore when you are given a surprisingly low rate, always ask how long will it take for delivery and also, ask for fees after delivery, only then you will see the actual really high final price. Consequences of taking very low prices is that your car may not be picked up at all, as it has been priced incorrectly and drivers will not take it, this can ruin your plans if you have a schedule to stick to. When you have a dependable auto shipper, conversations should be easy going and making business with them should be hassle free. Agents will be straight forward with you and will provide every single detail you need to know about your transport. If when you talk with an agent you realize they are complicated, hard to get a hold of, and start giving you the turnaround for simple answers, walk away. Therefore, when something goes wrong in your transport, they tend do to the same thing. After careful research and review, choose a company and stick to it, as double booking is very common for first timers and can cost you hundreds. When you double book you are giving the right to two companies to post you information on national boards for drivers to pick up, when they see two companies posting the same car, this delays the process as a price battle starts. At this moment it is simply a biding point to see who offers more, whoever does, gets the driver, if prices are the same, they tend to put it a side to find other jobs as this does not provide security to them. Drivers are aware that eventually customer will cancel on one of them and if they were unlucky enough to go with the carrier that cancelled, they lose the job and have to start looking again; this delays their schedules as well. Therefore it is very important you stick to one company only. Some companies charge initial deposits that are non-refundable at cancelling, if this is your case you will already be a few hundreds out and your car hasn’t moved anywhere. Once you have booked your transport service with the company of your choice, start to prepare your car for shipment. Most companies if not all will not allow you to take any valuables in your car. Carrier insurances do not cover for these items in case of any loss or damage. Ask your agent while booking if you are allowed to put anything inside the car. Sometimes you are allowed to take up to 75lbs of soft goods in the trunk of your car, however ask before you do so. If this information is not provided while booking, your driver may not take your car on pickup and you will go through a preventable bad moment. Something else you need to take a look into is the state your car is in before pick up. For this it is recommended you wash your car and check for any scratches or dents, take pictures and keep these with you when delivered. Once delivered go over the car to make sure no scratches or dents have been added, this will also help you as evidence in case an insurance claim needs to be filed. Lastly, you will be provided the drivers number for direct contact in case of any changes or delays from both sides, do not abuse of this privilege. Drivers are not to be talking on cell phones while driving, no matter what type of car it is, who it belongs to or how much a customer pushes, drivers have strict orders to follow. Calling a driver every 2 hours will get him on his bad side, and end up giving you a bad service. Drivers are obligated to update their dispatch and customer during pickup, delivery and once a day during transit. Most areas where drivers pass by have no reception and it can be hard to get a hold of them sometimes, however this is not a reason for you to leave 4 messages and 15 missed calls in a period of 2 hours. Use your tools wisely, if a delay occurs you will be informed. So there you have it, car transport process in full explanation, make sure you follow these recommendations and your car should picked up in no time. Unless Mother Nature causes an unforeseen obstacle we cannot avoid. AA Car Transport is top of the line car transport company brokerage. Working around the customers needs is our priority! Call us today to speak with a specialist.